Shown with optional doors (sold separately). 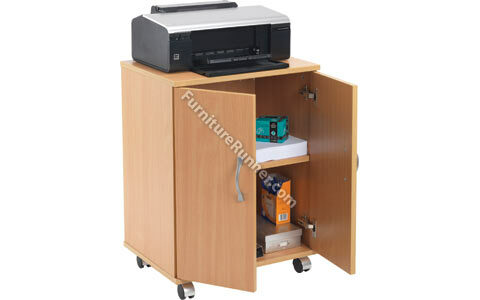 The Jemini Mobile PC/Printer Storage Stand is an open mobile storage unit with 2 adjustable shelves. Optional door pack available. Available in Beech. Dimensions: W530 x D400 x H720mm.